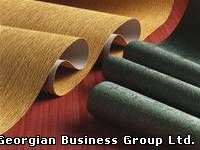 Georgian Business Group offers customers best quality Commercial Wallcoverings from USA. 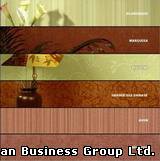 Len-Tex Corporation is one of the leading manufacturers of commercial wallcovering in the USA and Canada. Headquartered and manufactured in North Walpole, New Hampshire, Len-Tex also has a long history of environmental stewardship. Len-Tex pioneered water based ink usage in the category, implemented aggressive plant recycling programs and developed the first non-PVC commercial line of wallcovering in its "Surface iQ" brand. Len-Tex’s dedication to preserving the environment and providing socially conscious products is admirable. Not only is this company innovative, it also promotes environmental awareness in its designs and manufacturing. Len-Tex is a pioneer in its industry. The Walpole-based company’s Surface iQ wallcoverings recently earned “cradle to cradle” certification, a designation that allows Len-Tex to measure achievement in environmentally-intelligent design and helps customers purchase and specify products that are pursuing a broader definition of quality based on impact to the environment. 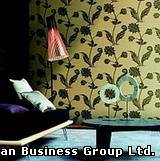 Surface iQ is non PVC commercial wallcovering that is completely free of ozone depleting chemicals and also offers a product take-back option for disposal.